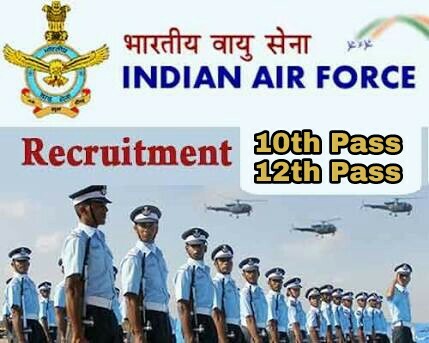 Indian Air Force (IAF) Recruitment 2017 | Group 'X' & Group 'Y' Post: Indian Air Force (IAF) has published Recruitment notifications for Airman in Group 'X' (Technical) Trades and Group 'Y' (Non-Technical) Trades Posts. More information please read below mention officially notifications carefully. • For Airman Group 'X' (Technical) Trades : Passed Intermediate / 10+2 / Equivalent examination with Mathematics, Physics and English with minimum 50% marks in aggregate and 50% marks in English. • For Group 'Y' (Non-Technical) Trades : Candidate should have passed Intermediate / 10+2 / Equivalent Examination in any stream/subjects approved by Central / State Education Boards with minimum 50% marks in aggregate and 50% marks in English. • Apply Offline Application Form. • Now Download the Application Form. • fill and at reporting up to 10 AM on 04 November 2017 at the Rally Venue will only be permitted to appear in the Recruitment Test. Date of Recruitment Rally : From 04.11.2017 to 06.11.2017.